Tesla is rolling out its new traffic-based navigation system together with firmware update v8.1 (2018.14). With the new, almost Waze-like feature in place, Tesla would be able to provide drivers with real-time traffic guidance using data gathered from the company’s partners and its own fleet of vehicles. Following are the new feature’s release notes from the electric car maker and energy company. The Model S navigation system now takes real-time traffic conditions into account when determining a route for you. Estimated travel times are adjusted to reflect traffic, and your car will continuously monitor traffic while navigating and re-route you if warranted. In order for these features to work, Tesla measures the road segment data of all participating vehicles but in a way that does not identify your or your car, and may share that with partners that contribute similar data to help us provide the service. At no point is any personally identifiable information collected or shared during this process. You can enable or disable this feature and the collection and sharing of this data at any time via the “TRAFFIC-BASED ROUTING” setting in Controls > Settings > Apps > Maps & Navigation. A screenshot of the release notes is provided below, courtesy of the Model 3 Owners Club. During this time, Tesla owners from the forum community were calling on the company to introduce a system that’s similar to Waze, one of the most popular navigation apps for Android and iOS devices. Waze is particularly effective due to its traffic-routing feature, which takes data from users to determine which routes are preferable so drivers can avoid heavy traffic. Accidents and even the presence of law enforcement are also visible on Waze through reports from other vehicles on the road. Based on the release notes provided by Tesla, its new traffic-based system is not quite as robust as Waze yet, but it does appear to be a step in the right direction. The company’s mention of partners contributing data to the feature, if any, would provide owners with real-time traffic information despite being in areas where there are only a few Teslas around. Just recently, we reported on an update that introduced Tesla’s new Maps and Navigation software. 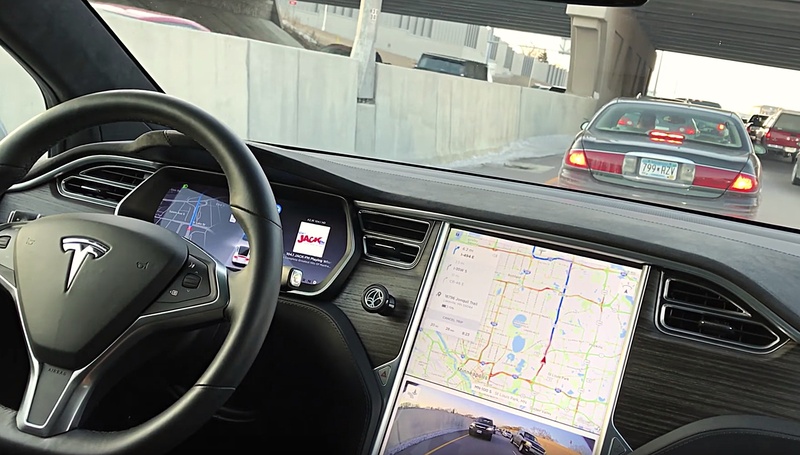 From videos posted by Model S and Model X owners who have received the update, the new Maps and Navigation features a faster, much smoother user experience. Together with the ongoing rollout of its new traffic-based feature and the recent introduction of its new Maps and Navigation, Elon Musk’s promise of a system that’s “light-years ahead” is steadily becoming a reality.